i did a little to my dragonfly on lotus canvas today, and i'm happy with the results so far. 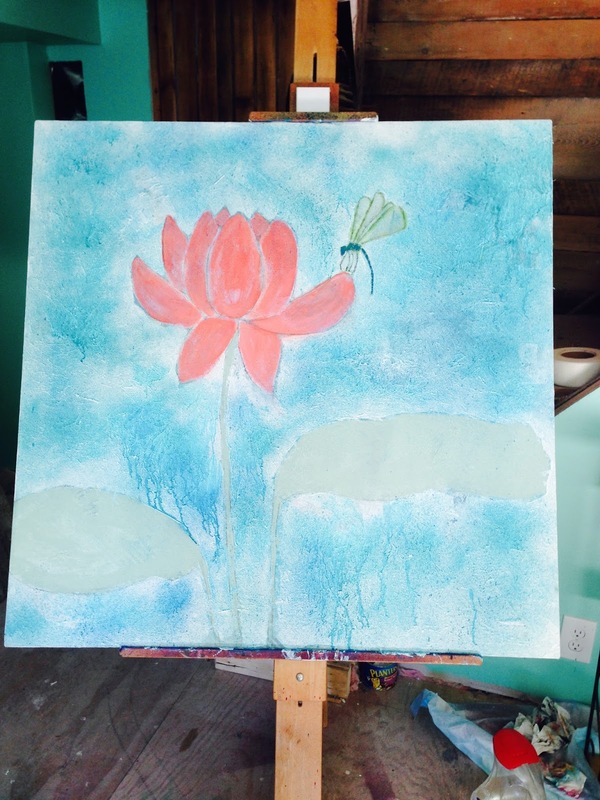 i made the lotus itself a brighter color so it shows up better. liking the contrast. i finger painted the petals and then wiped with a cloth to get the previous layers to show. then i concentrated on the dragonflys body. 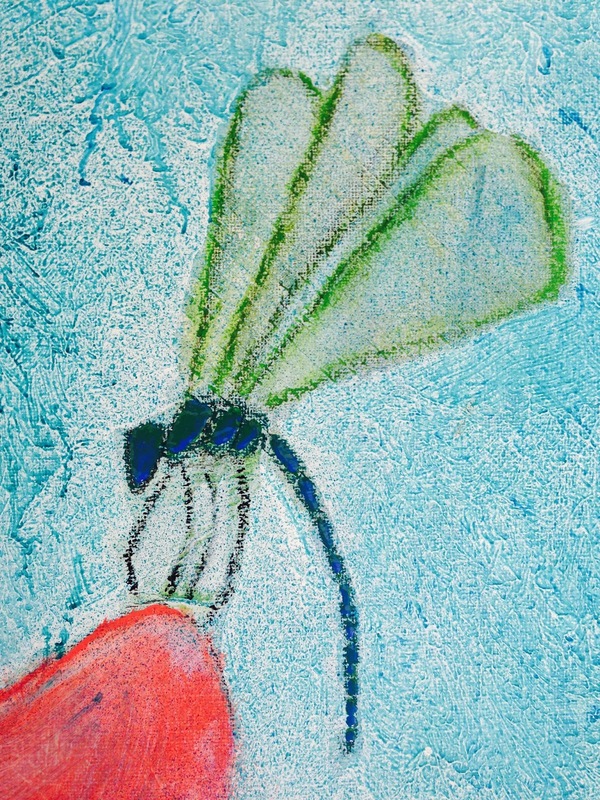 i had outlined the dragonfly sketch with a dark teal-ish color in oil pastel and liked the color but nothing was close enough in my paints. so i chose a dark green, and then painted over with a blue. what happened was a very cool thing. since i did not let the green dry at all, the next layer sat on the first and didn't mix with it at all. it kind of moved to where it wanted to go. i'm hoping it looks half as cool dry as it does wet, as it has this iridescent look to it right now. 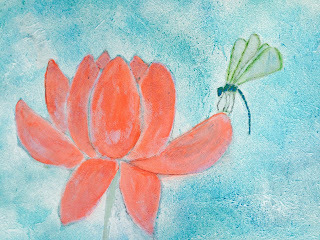 i'll work on the dragonfly wings another day.